This article was last updated Dec 19, 2018, but some terms and conditions may have changed or are no longer available. For the most accurate and up to date information please consult the terms and conditions found on the issuer website. While weddings are cause for joy and celebration, they aren’t cheap — for everyone involved. If you’re the bride, you need to find the perfect wedding dress for your special day, and if you’re a bridesmaid or guest, you’ll most likely need to shell out some cash for a new dress as well. David’s Bridal is an international store that has been providing a wide selection of wedding and special occasion dresses for over 65 years. They offer the David's Bridal Credit Card, which can help you finance bridal and formalwear and accessories, as well as benefit from exclusive sales and early access to new styles. If you’ve found the your perfect dress at David’s Bridal and worried about the high cost, you may think of opening the David's Bridal Credit Card. Before you do, there are some terms you should know, such as the high 29.24% variable APR and deferred interest charges. Here, we’ll review the potential benefits and downsides to the David's Bridal Credit Card, and provide better alternatives for financing David’s Bridal purchases. For purchases such as bridal and bridesmaid gowns, accessories, gifts and shoes made at David’s Bridal with a David's Bridal Credit Card, you can take advantage of 6 months special financing. * When shopping online, look for an image of a woman’s hand holding the David's Bridal Credit Card and the text, “Take 6 months to pay with the David's Bridal Credit Card.” Otherwise, ask a salesperson if the item you want to purchase qualifies for special financing. Know that minimum monthly payments are required. Failing to make at least the minimum monthly payment means your 0% offer will be canceled and the card’s regular APR will kick in. In addition to the requirement of making regular minimum monthly payments, it’s important to have a plan in place to pay for your balance in full within the 0% APR financing period so you avoid the high 29.24% variable APR and deferred interest charges. When you don’t pay your balance in full before the special financing interest-free period ends, you will incur all the interest you would’ve been charged from the time of purchase, aka deferred interest. While this is a common practice among store cards, it defeats the purpose of using a special financing offer and lead you to fall into debt. 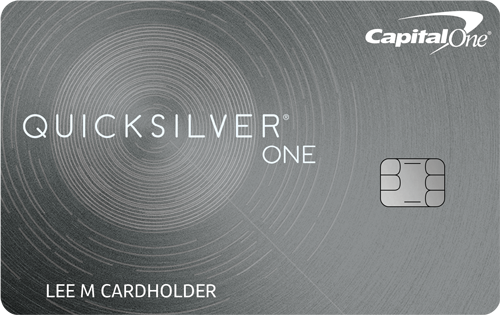 Cardholder promotions and early sale access. The David's Bridal Credit Card offers several cardholder perks you can take advantage of, such as early access to new styles and advance notice of sales before non-cardholders, and exclusive promotions. These benefits may help you save money on David’s Bridal purchases and get first dibs to the latest styles. High 29.24% variable APR. If you carry a balance on this card and don’t use a special financing offer, you’ll incur a high 29.24% variable APR. This will lead to high interest charges, making it harder to pay off the balance quickly. Deferred interest. This card comes with deferred interest terms, which we mentioned above. If a balance remains after the special financing period, you’ll be responsible for paying all the interest you avoided during the intro interest-free period. Those balances will also incur the 29.24% variable APR. Can only be used on David’s Bridal purchases. This card is a store card, meaning it can only be used in-store and online at David’s Bridal. No rewards program. You won’t earn rewards on purchases made at David’s Bridal with the David's Bridal Credit Card. This prevents you from earning cash back or points that can be redeemed at a later time for statement credits to pay for your purchases. There are plenty of rewards and cashback cards that have both rewards and intro 0% APR periods without pesky deferred interest. 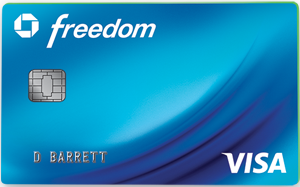 The Chase Freedom® offers a 0% Intro APR on Purchases for 15 months (after, 17.24% - 25.99% Variable). This is more than double the length of the David's Bridal Credit Card’s special financing offer and there’s no deferred interest. Plus, cardholders can earn rewards: Earn 5% cash back on up to $1,500 in combined purchases in bonus categories each quarter you activate. Enjoy new 5% categories every 3 months. Unlimited 1% cash back on all other purchases. The 0%* intro for 18 billing cycles on Purchases* offers a long 0%* intro for 18 billing cycles on Purchases* (after, 14.74% - 25.74%* (Variable)). This is a great way to finance your wedding gown or other high-cost wedding purchases. There is no rewards program, but the special financing offer helps make up for the lack of rewards. The information related to the U.S. Bank Visa® Platinum Card has been collected by CompareCards and has not been reviewed or provided by the issuer of this card prior to publication. If you already purchased your dress and are carrying a balance month-to-month, you could consider a balance transfer credit card. You can transfer debt from a high interest card to a new card (from a different issuer) that offers an intro 0% APR period on balance transfers. The Citi® Double Cash Card – 18 month BT offer is a great option offering an intro 0% for 18 months on balance transfers* and cashback rewards. Earn 2% cash back on purchases: 1% when you buy plus 1% as you pay. The David's Bridal Credit Card isn’t the best card for financing wedding gowns and special occasion dresses. You can do better with some of the alternative cards suggested above that have rewards programs and also offer intro 0% APR periods without deferred interest. If you choose to use the David's Bridal Credit Card, make on-time payments every month so you avoid falling into debt, which can happen quickly on lingering balances since the APR is high at 29.24% variable.